New 2016 series Edo Sakura Yuzen designed proudly by Nitou Sangyou. Beautiful flower of Edo Japanese design in vibrant color and pattern. These 3 colorful floral design will surely make your kitchen counter an eye catching delight to guests and hosts alike. Each tin is carefully wrapped with the Edo Sakura Yuzen washi paper. Each purchase is only for 1 tin. 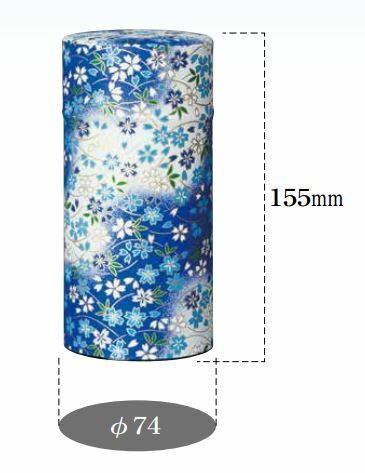 Please continue shopping to purchase other canisters to make a set.